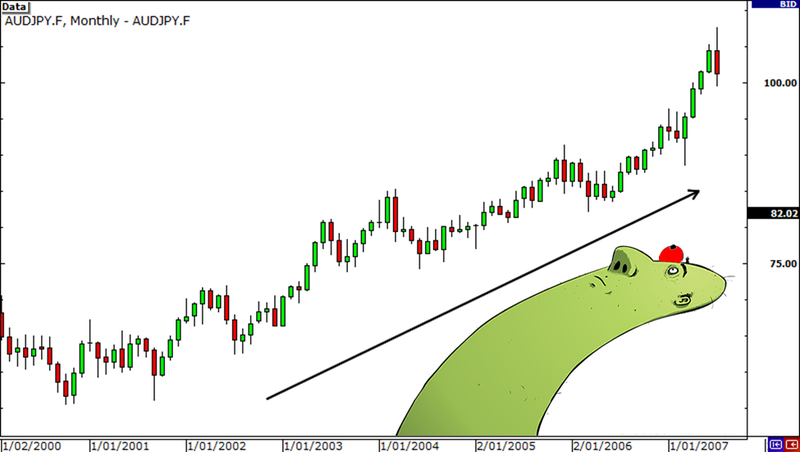 For example, take a look at the nice uptrend on AUD/JPY. If you had a long position on this pair, you would’ve made a hefty profit. On top of that, the interest rate differential between AUD and JPY was huge. That means you made profits off your long position AND the interest rate differential on that trade! Now that’d be an awesome cash cow right there! We’ll even teach you about a lil’ something called risk aversion. But that’s for a later lesson.